For as long as I've been in the real estate investing business, Google Earth has been one of the most helpful resources I've had at my disposal. Like most of the online tools, Google has made available, it's 100% free – and considering everything this software can do, that's a pretty remarkable thing. I've used Google Earth on literally EVERY single property I've ever purchased and I'm not sure how I'd survive without it. 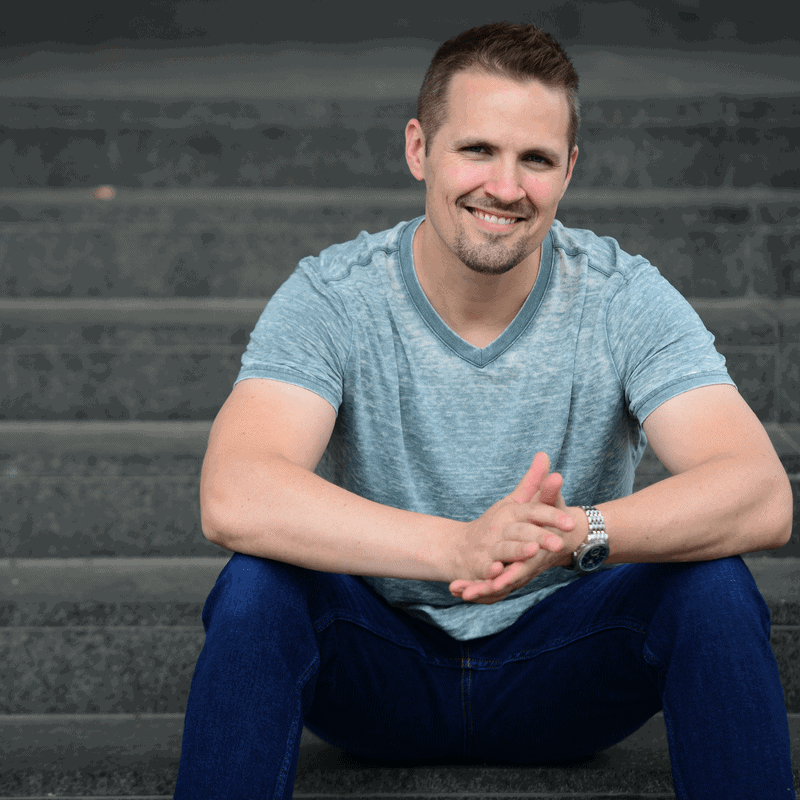 If you aren't already using this tool in your business – I'd like to show you ten quick examples of how I use it to research the properties I'm buying, compile the essential information I need in my due diligence process and ultimately, get my properties sold. As a land investor, one of the inherent challenges I've always had to deal with is finding the precise location of each new property I'm working with. Unlike the typical house or apartment building, most vacant land properties don't have a registered street address – so I can't just plug this into my GPS system and get turn-by-turn directions to the property. If I want to know exactly where a property is, I need to find the exact coordinates on earth and THEN I can figure out how to get there. Luckily, Google Earth has an easy tool that can help me get the latitude and longitude of any location on earth, and once I've got this information, I can create a shareable link and text or email it to anyone who needs to know where the property is (and I can even generate a full-blown set of directions if needed). I'll show you how it works in the video below. As you can see – it's pretty easy to get the job done once you know which steps to go through. On many occasions, I've used Google Earth to determine approximate distances from one point to another. Why is this helpful? Because I can figure out how much road frontage a property has and/or what the dimensions of a property are. If you want to calculate the acreage or square footage a property is (in cases where the county doesn't help much in providing this information), this can come in handy as well. Google Earth has a great little measurement tool that will allow you to measure these distances and dimensions very easily. I'll show you how it works in this video. Remember, if you're going to give this information to any third parties or interested buyers, be sure to disclose that these measurements are approximate and it is NOT the same as getting a survey. One of the many features I use in Google Earth is the polygon tool, which can be used to draw a boundary overlay around any area on earth. There are all kinds of potential uses for this functionality, but the way I use it is to draw lines to indicate where my parcels of land are located. This is a great way to indicate where a property is situated AND to show what the terrain of that property looks like (whether it's flat, rolling, sloping, mountainous, in a valley, on a cliff, or otherwise). It's also great for indicating what else is situated on, near or around the property. I'll show you exactly how it works in this video! Note: It's important to remember that this kind of free-hand polygon drawing is NOT the same thing as a survey (because it's really just your best attempt at indicating where the property lies on the ground). If you're going to use these drawings to show other people where a property is located, be sure to include a disclaimer that these lines aren't precise and that a survey should be ordered to be 100% certain about the boundaries and measurements of the property. If you're buying or selling a property remotely, Google Earth can be VERY helpful in getting you more familiar with the surroundings of the property. It's called Google Street View, and you've probably seen it before. This imagery isn't always current, but at most, it's usually a few years old – and if you've got no other way to see the property on-site, it can be a very helpful perspective to have. As you can see – it offers a pretty helpful view that goes far beyond what a simple satellite map would show. Even though the imagery isn't always current (like, within the past 12 months), I'd still MUCH rather be armed with this information than flying blind. Another great thing about Google Earth is that in most areas, the satellite imagery is available for several years into the past – and you can use this historical imagery to see what the property looked like 2 years ago, 5 years ago, 10 years ago, 20 years ago and more (depending on what's available in your area). It can help us understand whether or not a property is in the path of growth. If you zoom out to see the surrounding few square miles (or even the entire county) – you may notice that some new building and development has taken place over the past 10 – 20 years. On the flip side, you may also notice that literally, nothing has changed. Either way – you should be able to draw some high-level conclusions about whether or not things are likely to grow in the coming 5, 10 or 20 years. This kind of historical satellite imagery can help us understand what activities may have taken place on the property in the past and/or what that property was used for. Has it ever been contaminated? Did it use to look better or worse than it currently does? Has the timber been harvested recently? Has this property improved or deteriorated over time? Chances are – if anything dramatic has changed in the past decade or two, the historical satellite pictures will help tell you the story. The availability of historical map data varies based on what parts of the world you're looking at – but chances are, you should be able to find SOME historical imagery through this helpful functionality in Google Earth. When you're buying vacant land, something you should be fully aware of is the terrain and topography of the property in question (and this becomes increasingly important when you're investing in areas known for hills, valleys, mountains, ravines and the like). There are MANY places in the world that have unpredictable elevations, cliffs, mountains, valleys and more. In many cases, the topography of the land can have a major impact on the build-ability of the property itself. For the same reasons you can't build a house on a vertical cliff, you should always do some preliminary research to find out where your property is located and what the lay of the land is. As you can see, these free resources (Earth Point and Google Earth) can provide some VERY important information that you'll want to know about before you commit to any new property (and if you're willing to pay for a subscription, Parlay can also be quite helpful in identifying parcel lines). If you're working with properties in an area of the world that are high above sea level, something you (or your future buyer) may be wondering about is what the elevation is of the property in question. Google Earth makes it ridiculously easy to get this information by simply hovering your cursor over whatever point on earth you're looking at. I'll show you how it works in the video below. When it comes time to sell a property – videos can be an extremely helpful way to explain the value behind a deal. Of course, one way to create a video is to shoot and edit a highly produced, on-site virtual tour and show people exactly what the property looks like… but if you can't justify the time or money to create this kind of production, another option is to simply use Google Earth and record a screenshot tour – narrated by yourself (the software I recommend for this purpose is Camtasia, and it's pretty easy to use). As you can see – it doesn't have to be a flashy presentation with cool effects and music in the background. The value isn't necessarily in the fancy production, the value is in the information you provide and the basic selling points behind the property. If you just follow and standard descriptive procedure like this (covering all the same basic points and views of each property and it's surroundings), it's not hard to create a powerful and effective promotional video with Google Earth. If you'd like to use Google Earth to create a virtual tour of your property, but you'd rather not do all the talking and narrative work yourself, another option is to record a virtual fly-by tour that is strictly visual. My friend Renee at LandRushNow has done dozens of these for her properties – and as you can see in the example below, they give a pretty good representation of each property. When I've created videos like these in the past, I've hired people on Upwork to all the heavy lifting for me. I simply provided them with a few parcel maps, the coordinates of the property (so they knew where the property was) and pictures, along with some basics of what I wanted them to highlight for me – and they handled the rest! If you've learned to use all of the free features of Google Earth and you want to take a HUGE new step to expand the usefulness of this software – you ought to know about KMZ and KML files. A KMZ file (which is basically just a collection of KML files) can be used to add new layers to the map for the purpose of showing buildings, illustrating power grids, rivers, image overlays, parcel lines and much, much more. As you can see – this subscription imports data from thousands of the counties across the U.S. – most notably, it will show you parcel lines, owner information (including mailing addresses) and in some cases, it will show you transfer values, market values, acreage and a lot more. It's a SUPER helpful tool that is easy to justify if you need this information on a somewhat regular basis like I do. What Else Can Google Earth Do? Google Earth is actually capable of doing MUCH more than what I just showed you in the points above… these are some of the simpler functions and features that are mostly free and easy to use. It's worth noting that Google has recently moved the software to a format that functions within the Chrome internet browser – which brings about some improvements in some areas (most notably, speed and appearance), however I've also found that it has taken some notable steps backward in other areas (mainly in features and functionality). 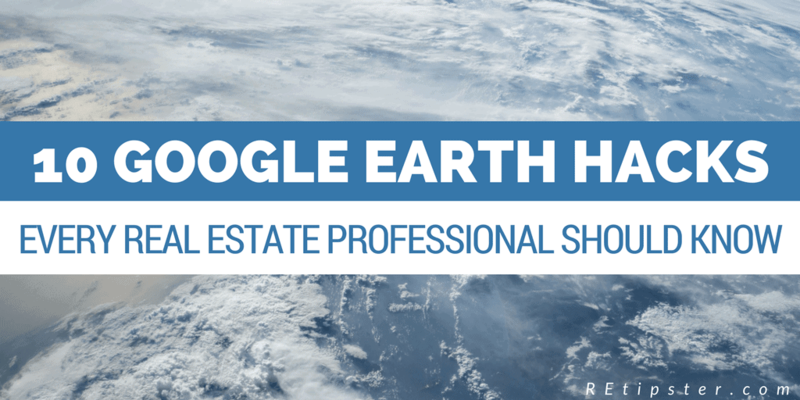 Personally, I prefer the desktop version of Google Earth, because it offers A LOT more applications that are useful to real estate professionals. If this is the version you're after, you can it on this page. If you know of any other cool tricks not mentioned here, be sure to let us know about them in the comments below! You cover all the example for property research. Agree, that Google earth plays a major role in real estate area. Very insightful post. Very nice write-up. Great insights. Keep it up! Google plays a major role in real estate area. Google Earth is capable of serving its best to any real estate professionals. The listed activities are very helpful all the time. Thanks, it was very informative. Thanks for sharing, the article is very helpful! Glad to hear it Ade! Thanks for reading and watching. This is exactly what we had in mind while developing our service based on Google Maps. Most of these features like property location, lot dimension, parcel polygons are already implemented in Zoomek. We have a plans to migrate to Google Earth in future. Great and very informative article. Thanks for sharing. It’s a great source of info for Real Estate Investor, I am very happy to read your valuable information of Real Estate. We are also a house buyer so it’s help us lot. That’s great to hear Diaz – thanks for letting me know! Nice and very informative blog posting, thanks for sharing about real estate. That’s a great article Seth. Awesome stuff by google. Nowadays they are bringing technology into real estate business and it’s a boon to both property sellers & buyers. Sellers can reach their customers with ease & buyers can choose their dream property easily. Thanks for the valuable post. Thanks for reading/watching it Enock! Glad you found it helpful!